who works with entrepreneurs and executives who are growing and scaling their businesses for greater impact in their communities and around the world. Looking for help? Need some guidance? I am an executive business coach, multi-business owner and philanthropist. I am a founding franchise partner and CEO of 1-800-GOT-JUNK? Ottawa. I’m an executive business coach and strategist for entrepreneurs, leaders and executives who are running six figures to multi-seven figure businesses and organizations, with visions and missions to scale and grow to impact more people in their communities and around the world. I host the Speaking of Business show where I interview leaders and executives who are having an impact in their communities. Episodes are streamed on all podcast channels, YouTube and my website. I’m a four-time published author, a speaker, a facilitator, a community leader and also a member of the Forbes Coaches Council. I am the recipient of the Ontario Leading Women Building Communities award in 2013, given by the Government of Ontario to women in our province “who demonstrate exceptional leadership in working to improve the lives of others in their communities”, a Forty Under 40 Recipient and a finalist as Businesswoman of the Year 2019. Her 23 years of owning and operating businesses, while raising her family and going through many of life’s transitions, will provide you with the guidance, support and coaching you need to help you through your own times of transition while living your vision and your mission. She knows what you go through. She believes in you and has your back! Align you and your life with your vision and mission for greater profitability, simplicity and organization. Provide you with the tools and strategies to let go of what is no longer serving you, your business and your life, which will create time, money, and energy for priorities that will impact all aspects of your business and your life. Provide you with a network of peers and strategic partners who will guide and support your personal and professional growth as a visionary and entrepreneur. Mentor and coach you through the challenges you face navigating challenging times of change, transition, grief and loss, ensuring you are supported through your challenges and growth. Through her hands-on and experienced coaching, masterminds and speaking, you will find the support, guidance, mentorship and coaching you need to take your business, and your life to a whole new level. With twenty-three years of experience owning and operating companies, while raising a family and going through major life transitions, she is here to help you to grow and live fully. In May 2000, Pierrette and her husband became founding franchise partners of 1-800-GOT-JUNK? whereby her teams provide removal and recycling services to those seeking to donate items to local charity, recycle items that can be recycled and bring to the waste site what is no longer usable. In addition to running her companies, Pierrette is also a member of the Forbes Coaches Council where she shares her knowledge and expertise as a business owner, leader and transition coach and consultant. 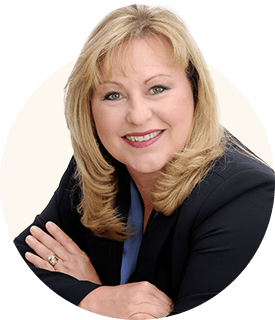 Pierrette is passionate about guiding those who work daily, in the trenches of a business, to ensure all is running smoothly, employees are supported and happy, while maximizing profitability too. Although Pierrette runs three businesses, she is a deeply present, compassionate, and caring individual who prioritizes family, quiet time at home, campfires with her husband, trail walks with her dogs, and being present and enjoying the moments in life that really are about living fully. She invests in herself regularly and believes that to be a fundamental tenant of her success and living fully. As a COO or 2nd in Command, you may feel alone. You do not have too. Pierrette is here to help! Inspire your audience with a woman who knows how to run successful businesses, profitable operations, and amazing team cultures.